...We all ride the train for ice cream! 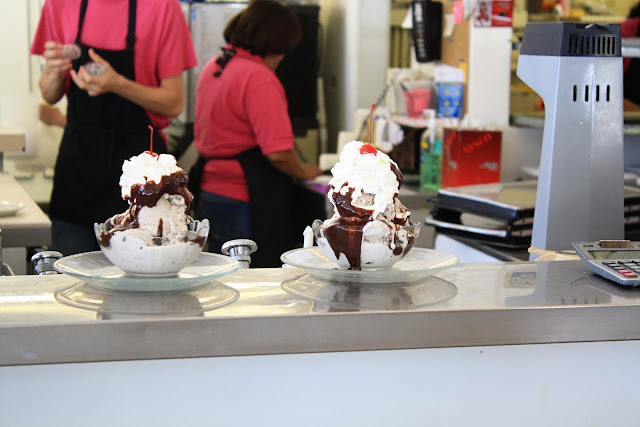 One of the local things to do around here is to ride the AMTRAK train to a town further down the valley for ice cream at a old fashioned ice cream parlor called Superior Dairy. So my neighbor and friend, Heidi, and I took our kids to ride the train and get ice cream. 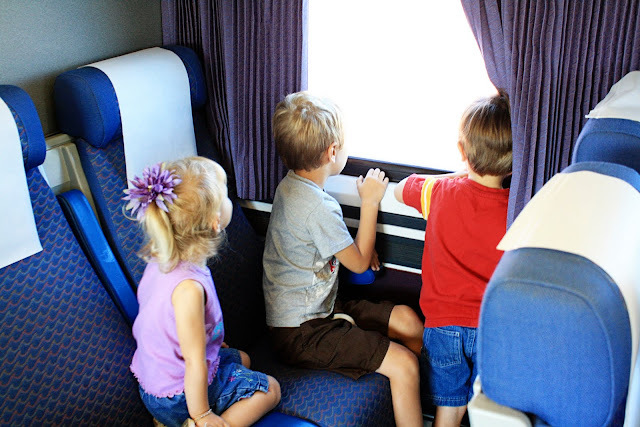 The train was a double decker and Hunter got a kick of sitting up top and watching what went by on our half hour ride. 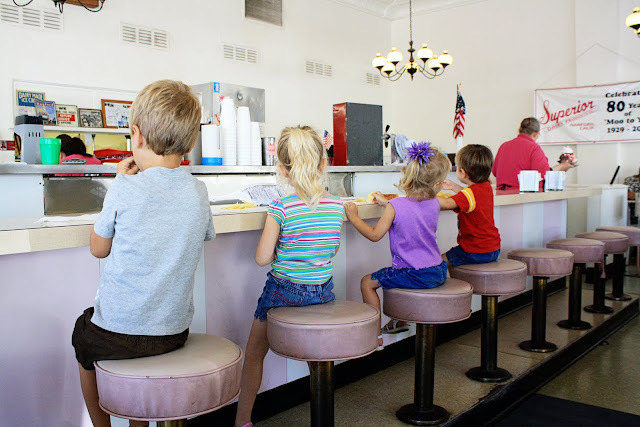 It took a while for the ice cream to come since it was a hopping place at lunch time, so the kids spent a good while wiggling on the stools and harrassing each other. 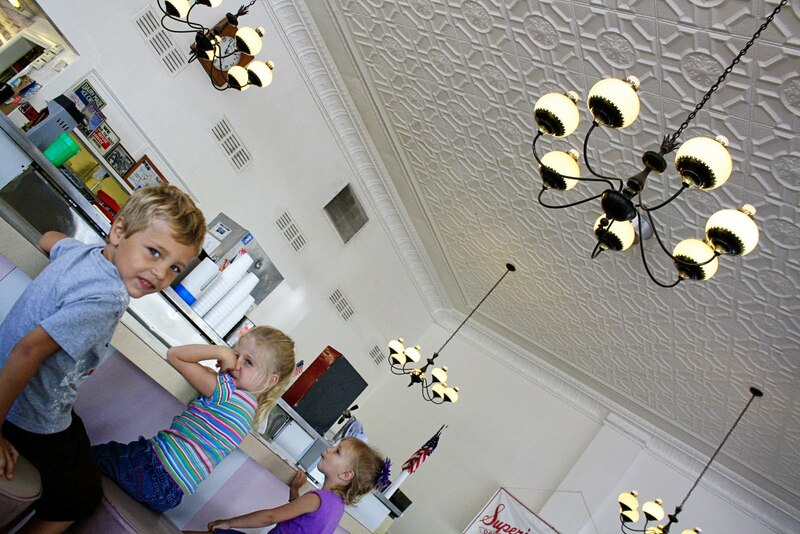 The ice cream parlor had really cool old ceilings and lights. 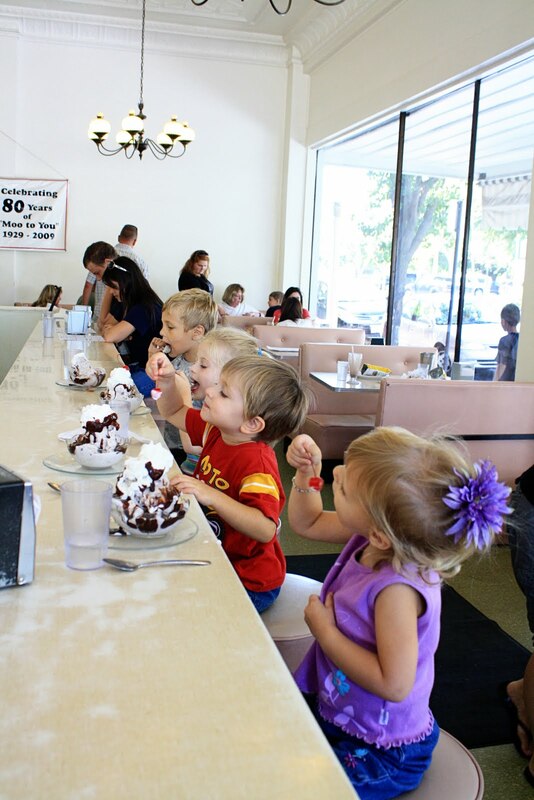 The waitress walked by with a huge sundae and all four kid's heads swiveled in that direction. then I wouldn't have gotten this cute picture of all four of them eating ice creams bigger than their tummies. Tessa did her best to be good, but sometimes she forgot. She was a little fussy. 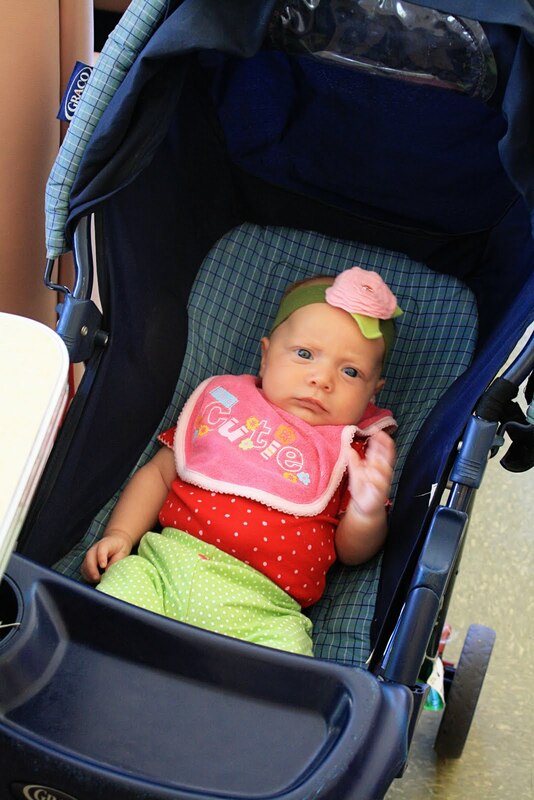 Little Miss "Spit-up" has to always wear a bib now because she is constantly spitting up and wet. Kinda takes away from the cuteness factor sometimes. We had time to kill before riding the train back, so the kids played on the town center green across the street before walking back to the train station. 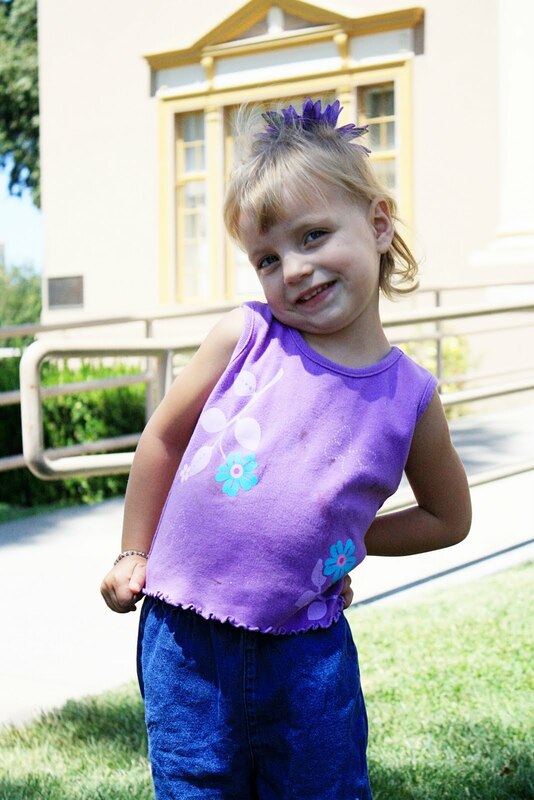 Here is my little "Miss Sassafrass". I told her to smile for a picture and this is what I got. It was a great day and so much fun was had by the kids. Oh, OK. It's true. I had a ton of fun too, and it gave me an excuse to eat as much ice cream as I wanted for one day at least!